Restaurants consume five to seven times more energy than other businesses. From long operating hours to energy-intensive food preparation, it’s easy to see why restaurants use such a high amount of energy. Unfortunately, this means that restaurants also waste more energy than a typical business. In fact, according to Pacific Gas and Electric, the food service industry wastes around $8 billion in energy every year. 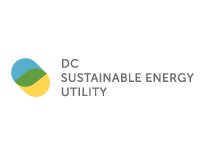 In the District, the DC Sustainable Energy Utility (DCSEU) offers rebates on everything from energy-efficient stoves and fryers to refrigeration and HVAC upgrades that can help your restaurant bring down the cost of equipment purchases and save on energy costs for years to come. The DCSEU has helped businesses across the District save money and energy, including Ben’s Chili Bowl, Johnny’s Half Shell, Union Kitchen, and many of the kitchens in DC’s top hotels. Where lighting can account for up to 50% of the electricity consumption of your business, the DCSEU offers financial incentives to replace inefficient and outdated lighting in DC businesses. Inefficient gas and electric kitchen equipment can also cause high energy bills that hit your bottom line hard each month. By upgrading to more efficient refrigerator and freezer units, ovens, and HVAC units, food incubator Union Kitchen reduced their annual energy use by 60 Mcf and nearly 6,800 kWh, reducing their energy costs by about $1,500 per year. They also received rebates from the DCSEU that helped bring down the cost of the more efficient equipment. If you don’t know where to start, the DCSEU can help you better manage your facility’s energy use and determine the equipment that is right for you. Visit the DCSEU website for information on rebates on energy-efficient refrigeration, HVAC, and food service equipment. Call the DCSEU at 202-479-222 or visit www.dcseu.com to find more information on how your business can save energy and money.